Oldham Athletics’ Football Philosophy is based around the production of home grown players with the objective of them becoming football and financial assets to the Club. We intend to do this by instilling principles and values such as a positive attitude, hard work, honesty and professionalism into their programme of development. A structured approach to their Technical, Tactical, Physical and Psychological development will be undertaken. Part of the football philosophy of this club is our commitment to safeguarding and promoting the welfare of young players. We expect all staff, volunteers, parents/carers, players, any partner agencies or any commissioned service providers to share this commitment. This philosophy emanates from the Manager and will be incorporated into the Academy system. It will be embraced by all staff, coaches and players associated with the organisation. 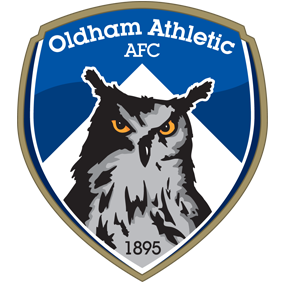 Oldham Athletic’s aim is to produce teams and players who are capable of competing at whatever league the club are playing in. Our players will be comfortable in possession of the ball and have a mastery of the main technical aspects required to become a professional player. We expect players to be able to dominate the 1v1 situation in both attacking and defending. Our teams will be playing a passing & possession based game with the aim of getting the ball into attacking areas quickly and with good quality. Players will be encouraged to demonstrate variety, cleverness, audacity and calculated risk taking, having taken into consideration the area of the pitch when in possession of the ball. Counter-Attacking opportunities will be taken with pace and incorporate ‘quick-play’ in order to progress and penetrate effectively through the thirds of the pitch, both through central and flank areas. Players will be encouraged to be clever and take risks in the appropriate areas of the pitch in order to create goal-scoring opportunities. Out of possession teams will aim to regain the ball at the earliest possible opportunity then securing the ball to create possession. However this does not always mean we will always “press”, but that our players will have the discipline & understanding to know when to press, when to sit off, but all the time recognising that our aim is to win the ball back as high up the pitch as possible. This is to allow for maximum attacking options. We aim to defend with 11 faces behind the ball! On regaining possession we will have the fitness and intelligence to be able to counter attack with swiftness and penetration to create goal scoring opportunities. First Team and Professional Development Phase. At FT and PDP levels the organisation and execution of set-pieces will be highlighted and roles and responsibilities will be given to all players with an emphasis placed upon the importance of dominance in both boxes. Players will be disciplined and converted to the full philosophy of the club and these covenants and procedures must be adhered to at all times under the jurisdiction of the coaches and management structure.